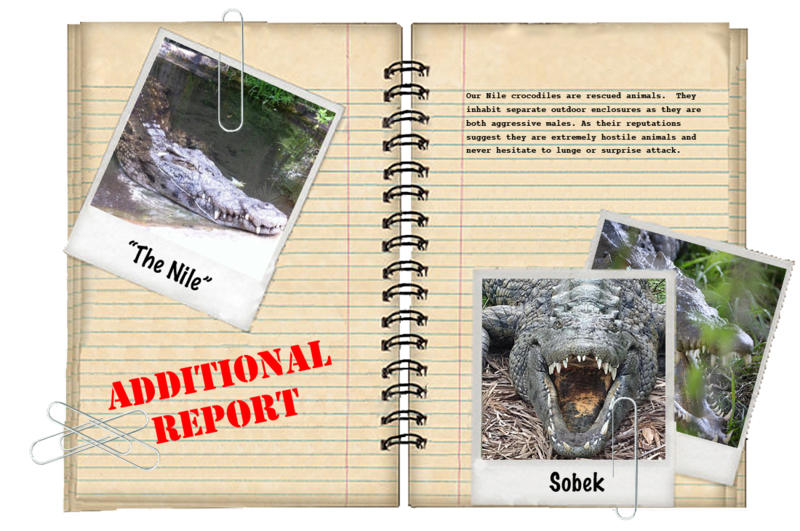 Sobek is the biggest and oldest Nile at Croc Encounters. He is approximately 9 feet in length and about 15 years old. 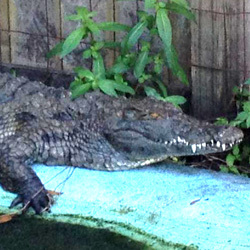 He was transferred from out of state and has been at Croc Encounters since its opening. He is a voracious eater and his aggressive temperament makes for a great show animal. We enjoy doing feeding demonstrations where we can show off these crocodile’s excellent jumping abilities. 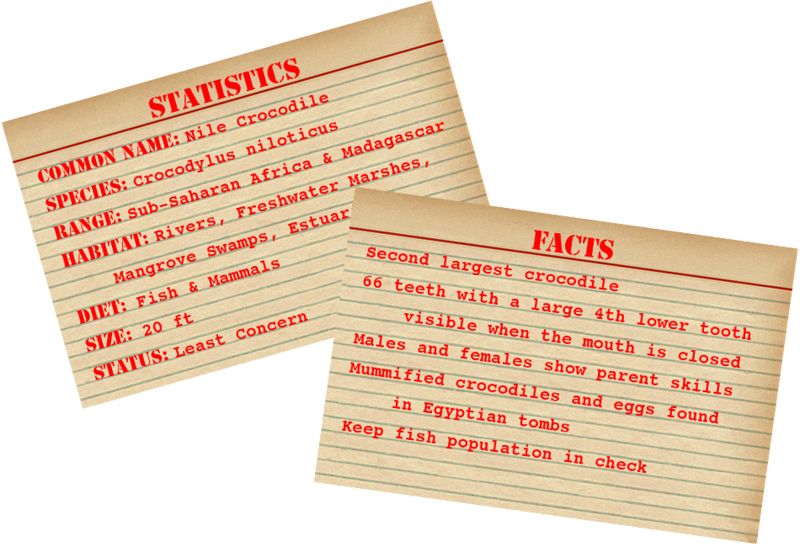 This crocodile doesn’t have a name rather he is simply known as “The Nile” or “The Smaller Nile”. This guy has a very interesting story. He is a rescues animal that came to us in 2008. He was once a teenager’s pet in Roanoke, Virginia where he was being kept illegally in the teen’s bedroom. 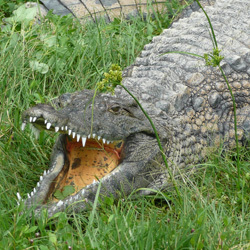 After getting bit one too many times, his mother said enough was enough and ordered him to get rid of the crocodile. He was placed at a rescue that had contacted us with urgency of transporting him to our facility as it was illegal for anyone to keep such an aggressive animal in the state. A group of us dropped everything and immediately made the 13 hour drive to rescue him before he was euthanized. He was a small five foot crocodile when we rescued him and since being at our facility he has grown tremendously in length and girth.